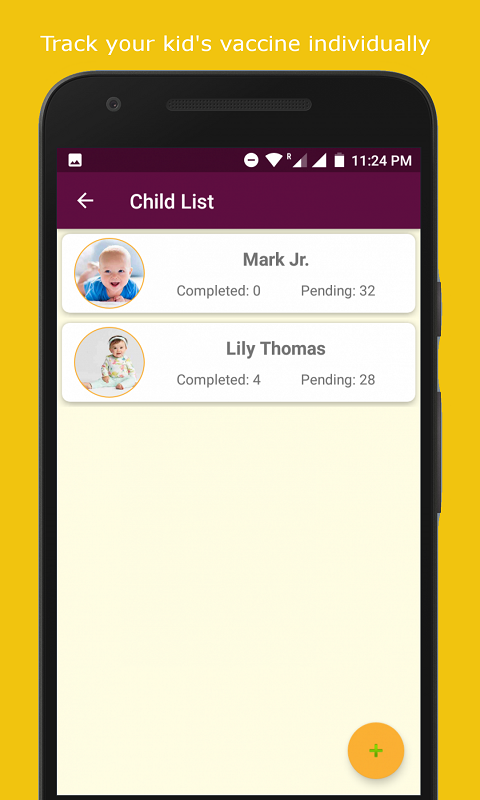 Baby Gender Predictor is very easy to use app and it is based on the Chinese calendar, just put the Mother’s age at the time of conceiving and the conceiving month then it will automatically calculate the gender of the baby based on the Chinese astrology. This app is very simple to use without any unnecessary features and it does well and serves it purpose. 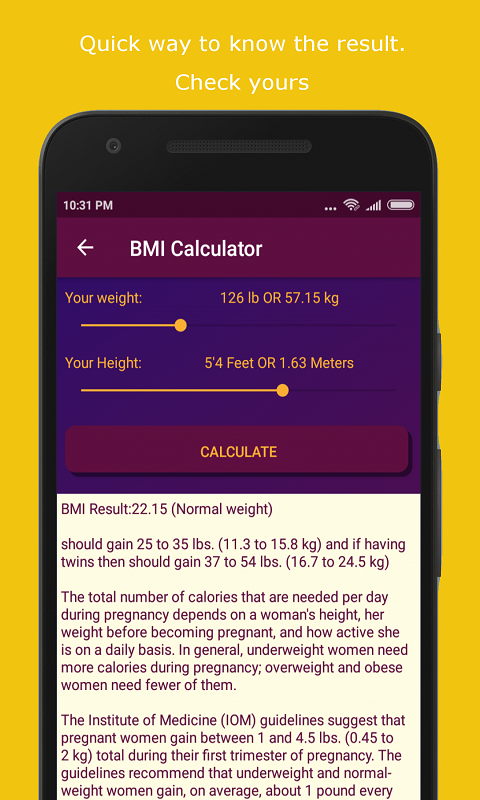 BMI based recommendation: Appropriate weight gain during pregnancy is very important for nourishment of the developing baby and for comfortable delivery. Gaining too little is an indicator of your baby not growing properly, while gaining excessive weight makes delivery difficult. 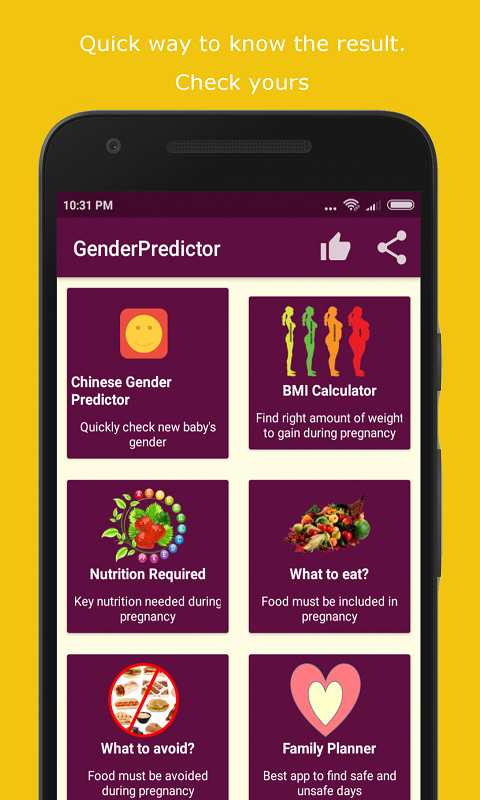 This app also shows the Key Nutrition required during pregnancy, Food to be included in diet and food to be avoided during pregnancy. 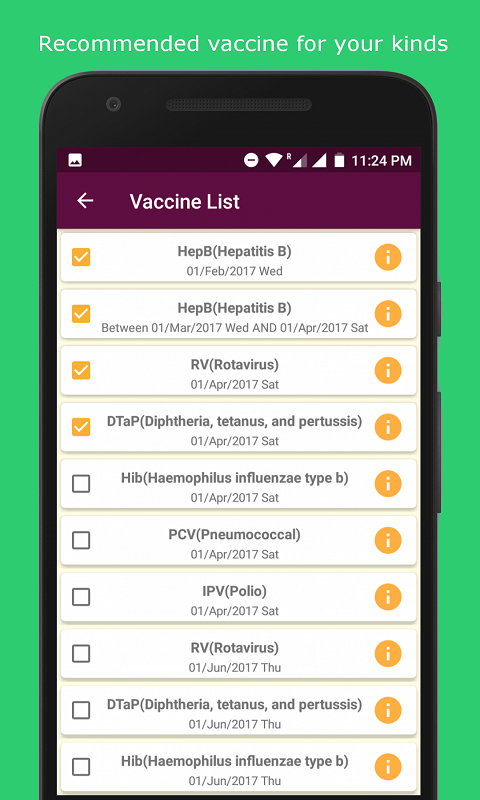 Now, excellent feature added to this app to monitor your kid's vaccination needs. Child vaccination is very important and it should be given on time to project them from serious diseases.